The employee engagement platform that combines cutting-edge HR technology, more than 11 years of Top Workplaces™ research insights, and expert guidance to transform your workplace and build a high-engagement culture. "Great Company with Amazing Customer Service!" I love working with the Energage team designated to my project. They are so well versed and willing to provide any additional guidance. I can't think of a better company to be hands-on with any project that you may have that involves improving employee culture and morale. I can't think of anything to dislike about them. They are always upgrading and improving their functionality. Make a call to one of their account managers. I highly recommend them and they do not disappoint. We are attempting to gauge employee culture. We have a variety of cultures within our institution and use Energage's products to gauge the climate. We participate in the Top Workplaces program every year. We have been consecutively recognized for eight years - until the most recent year. The information from our survey have allowed us to implement leadership development programs for our employees. They have been well received and appreciated. "A Great Process, Start to Finish"
I think the Energage team did a terrific job helping to facilitate the survey from start to finish. I started working with our personal representative months in advance and she ensured we hit all the suggest deadlines at appropriate times so that we wouldn't find ourselves 24 hours before the survey distribution not having our profile filled out or emails uploaded, etc. They were also very accessible throughout the process whenever I had a question. The questionnaire itself was distributed very well and was extremely user-friendly. I dislike the fact that I can't help but not fully trust these surveys and how they end up scoring one company against another company to create the "Best Companies to Work" type lists. It seems that it's a very scientific, straight-forward process up to the very end when companies are ordered by score. Then it becomes confusing but only because when you read the pieces in the paper, you kind of scratch your head and wonder why one company is better than the other when the details provided are all so subjective and similar. But that's really all, and honestly I do not think this has as much to do with Energage's role in the process as it does the individual local papers. We collect excellent insights about what our employees want to see more of, what they want to see less of and what they are indifferent toward. The reports generated by Energage are easy to follow and pull highlights from, which is very helpful for those of us who have to deliver the results in quick bullet points for our leaders to digest. What Employee Engagement solution do you use? "Wonderful technology with great support!" I love the checklist of to-do items. It is very thorough and keeps me on top on what I need to do along the way. I did not experience this myself as I took my survey on the computer but I do think one of my employees stated that when they took the survey on their phone, the questions kept jumping back to the top of the page whenever they answered one. Could be more mobile friendly perhaps. We use Energage's platform for our employee engagement survey. This has opened up insights for us into what our employees really want and how we can continue becoming a better company for them. The service I receive from everyone at Workplace Dynamics is outstanding. I have yet to wait longer than 90 minutes to receive a response from my account rep or their rapid response team. Service aside, the results we receive about our workplace helps us make validated decisions. We can act confidently based on the voice of our company on anything from wages, facility upgrades, culture, benefits, etc. Nothing. The Workplace Dynamics survey, their team, and support have been outstanding! Lean on your account manager. They have a wealth of knowledge from past experience that will help drive your survey. There were a few things that we thought were a best practice but after speaking with the team at Workplace Dynamics we realized that we should use a different approach. We are solving workforce challenges related to wages, facility upgrades, culture, etc. inside of a manufacturing company. The question selection and ease of getting the survey up and running were great. The questions are topical to common problems businesses today face and allow businesses to take corrective action. A lot of the data is hidden from the company, which may increase employee participation, really doesn't let the company get as deep as they want. In my experience, even with 3rd party surveys, employees assume HR is going to see their answers anyway, so I'm not sold on not being able to access the data. Figure out how in depth you need your data. If you are using this to scratch the surface and uncover some issues throughout the organization, this will be great. If you are a smaller organization and need to see some deep data, you may be a bit underserved. We've been able to identify some problems areas around communication and professional development and have started taking corrective action by doing deeper dives to truly understand the root of the problem. The process was easy, the results were quick, and the support during the entire process was above average. The entire support staff during the survey was patient and professional. I hate that we didn't have time to make employees aware of which department they would be in prior to them taking the survey. That was due to our company joining the survey later. Energage is easy to use, and the support you get is amazing! We are in the beginning stages of changing our culture to one for which SC and surrounding residents want to work. We are implementing a task force to focus on issues found within the survey so that we too can become an employer of choice. "Quick, Easy, and full of data with year over year results "
WE have been using this platform for the past 4 years and the ease and intuitive nature of the platform is a huge reason why we chose this product. Our team sees the same questions year over year and we can utilize the benchmarks for our industry and our company to make significant impacts. The amount of customer support is amazing, as we have the need to reformat the data on an annual basis. We have no plans to go anywhere else. I would like to be able to have 1-2 customizable questions. Although over the years there has been more flexibility with wording the standard questions which are helpful. Highly Recommended due to ease of use and their amazing team! Tracking of engagement across numerous districts in our organization. This platform provides us with the ability to track year over year changes. Provides the opportunity to hear our team members and make impactful changes. Specifically, we have made changes to our marketing and training departments to more fully support our field staff. We have grown our home office support team to provide additional resources across our company. The feedback provided allows us to make real time changes to benefit all those who work for us. Specifically, we overhauled our benefits structure and provided significant increases in compensation over the past year. We are committed to being the premier real estate and investment management firm in the industry. "Great Way to Learn about Employees"
I loved that they did most of the work for us, we were able to learn about our employee satisfaction efficiently and effectively. There was nothing about the experience that i disliked. I recommend you think through the groups you place your employees as it helps you better manage your results and understand the departments. Splitting into sites, departments, etc. can all help you better see what you need to work on within the company. The employee groups was our favorite part as we were able to specify for managers what they needed to work on in their department. We are able to better understand the points we need to work on within our culture, we may have been focusing on areas of improvement that don't matter as much to our employees. It's an easy 3rd party way for our employees to tell us what we need to do to improve our systems. The survey is easy to complete and it compares us to other companies in our industry to see where we are. It is WORTH purchasing the results to fully understand what our employees are saying. Sometimes RED words are actually positive so it takes some reviewing and deciphering that its a positive comment. I received feedback from some employees who said they never received the email to take the survey. We're not sure if they did or not. We want to ensure our employees are happy with their employment at the company. We've made changes to our benefits, communication and leadership styles because of this survey. Energage's year to year comparison was very helpful to see how we much we improved in some areas and still needed to improve in others. There is so much information to sift through. I like having all the information at our fingertips, but sometimes it is a bit overwhelming trying to find where I saw a particular page before. We are working on improving our company culture and becoming an employer of choice. Using the Energage survey has helped us focus our attention on particular areas in the company that need improving. 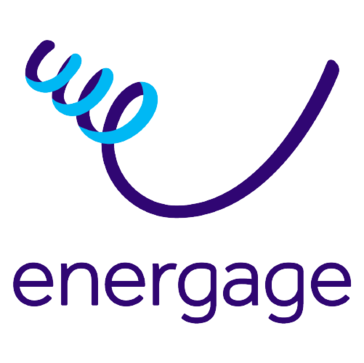 "Excellent experience with Energage! " Representatives are top notch! The survey was user friendly and our representative kept close contact with us. You are able to customize reports to your liking. No issues, nothing I can think, we've had a great experience! We've used Energage for our annual employee survey. The reports and customer service are fantastic! "Helping with Continual Employee Engagement!" We like being able to collect open, honest feedback and tools that help us act on what we learn. There could be better communication regarding the process. There was a good flow of information regarding the kick off and during our survey period in years past that was really lacking this year (2018). Try to keep in touch with your Energage representative. Getting a better understanding of how the main office is perceived by remote locations and gaining feedback that helps us know which teams need more help. Meaningful reports that we can use to create action steps. The report templates are very user friendly for multiple departments. We always have more questions after the initial questions, would love to have more customized input for follow up. The survey is great for a year over year comparison of engagement data, employees are proud when/if names at a TWP. "Amazing team & always building upon their solutions!" The Workplace Dynamics team makes is very easy to use their solutions. Their team is very knowledgeable and supportive of their customers. Their Rapid Response team really lives up to their promise of quick response. We appreciate the updates to their solution - they are timely and relevant to our needs. It would be great if they developed reporting that could pull results of Pulse surveys to an aggregate score or one report to see how the company is doing in each of the "focus areas" selected from the Annual Survey. Seeing the progress on a bigger picture could offer another data point to show progress +/-. We found a trusted partner in WD that will help us obtain anonymous feedback from our colleagues and turn the feedback into actionable results. We are tackling motivation, engagement and overall satisfaction with the easy to use system and the support of a truly professional team. Ease of use and good data as well as when I had questions I was able to speak with a live person in a reasonable amount of time. Nothing. It was good for our purposes. Thanks. The ease of use and support given made me want to use their product. The feedback received has been shared with upper and mid management. Action planning will be put in place in Nov/Dec time frame. "Very detailed and easy to dive into the data." The consulting partner was very good and the platforms ability to slice and dice the data was extremely helpful. Difficult to say, would have to say maybe timing. Would have liked to have all the detail quicker. We are using it to identify areas where we can improve upon. We benefited from the insight provided by Doreen and her work in pulling more information from the group we were targeting. "Highly recommend workplace dynamics employee engagement platform"
Some of the questions are not customization and are written in such a way that has caused confusion in our organization and impacted scores. We have provided feedback and hope to see change in the future. I would recommend WorkplaceDynamics Employee Engagement Platform to any organization that is seeking a better understanding of their workforce and what makes for a better and stronger organization. we have used survey feedback to develop goals and objectives to bridge gaps on issues hat have been raised by our associates . as a result we have seen y/o/y improvements and have been named a top place to work for the last six consecutive years in a row!! The survey is really easy to set up, it's easy for employees to take, and employers get very valuable data for a reasonable price. The packages have gone up in price over the last few years, which is a bummer. But they've been including more insights, so at least the price is going up with the features. We are able to get better insights into each department. "We've used Workplace Dynamics for seven years and LOVE it!" The information the survey provides us about what we do well and what we need to improve upon is PRICELESS. We wish there were a way to conduct an online survey with our employees that don't have a company email address. I think our employees would respond better to a survey sent to their personal email than they do to filling out & mailing a paper survey. It's a great employee engagement tool. Try it! Every year we learn about the areas in which we need to improve and we concentrate on those areas, setting goals and benchmarks along the way. "An efficient way to gain employee insight and engagement"
The portal is easy to get set up and use and the results are relevant and helpful as we look the next year's goals for best practices. The cost continues to rise for the same product year over year. We are able to solve weaknesses on a granular level and the benefits are shown through the bench marking and previous years results. "King Solutions found the experience very helpful!" Personally for me, the adminstrator of the survey, I found the support and checklists/reminders extremely useful. I also like that the questions on the survey are relavent to our work force. I think that thing I dislike most is that some employees use names and also not all participate, so that "lost" or "missing" information is not factored in the results. It really is a top notch product. We discovered a gap in communication in one area in particular and have asigned additional resources and focus as a result. The staff at Energage cares about their customers and wants to see them succeed in the drive for improving employee engagement. Would love to be able interact them them on a daily basis, but know that is not realistic. Employee development and growth along with improving employee engagement is important to us. The tools and staff at Energage really support our efforts. The ease of the platform made it an easy project to complete. Nothing that I can think of. I was happy with the results. We wanted to measure employee engagement and reduce turnover. We have realized that knowing about information allows us to act. "Perfect platform for gaining engagement insight"
The effective visual representation of the engagement information in a clear, concise format for teams and managers to digest for themselves. The amount of information given at first for Senior Leadership team to see and try to figure out for themselves before the break-down from a WD team member. We are raising our awareness of culture and effectiveness goals. The benefits from this survey have been numerous and we are still discovering new benefits daily as we move toward the Summit of Sustainability. "Simple process, useful feedback, great tools, great customer service." The reports/tools were very helpful in deciphering the feedback helping us to create action steps based on the feedback. can't think of anything. I was a very easy and useful process. Understanding how employees are feeling, where the problem areas are. The benefit are in the processes were are improving on as well as the communication between managers and employees. Our reps at Workplace Dynamics are the best! Bob Egan has been our rep for years and is always on the ball. Workplace Dynamics and our rep did a great job, there was nothing to dislike. The survey helps us identify departments whose teams may be struggling. The benefits have been exceptional! From employees being more engaged and talking about the good and the bad and how we can keep our tenure as high as it is. "N Williams Review of Workplace Dynamics "
I have used this program for 7 years and I like both the consistency of their approach and the enhancements that they have made over the years. Very little. Very pleased with the product. It has helped us understand issues within our company that employees were hesitant to bring forward for some fear of retaliation on the part of management. We are working hard to let them know they can express concerns about any issues. "Great platform to evaluate your organization"
The ease of use with the reporting tools. It's great to get the employee feedback and understand how to improve your organization. I wish it were easier to draw conclusions from the data without the assistance of a professional OD consultant. You are able to dig and find the teams that need to be addressed. You are also able to identify key areas of opportunities across the entire organization to improve. "Great tool for employee satisfaction and engagement"
I like that it is anonymous and that we are able to get the results to further enhance our employee engagement. We have been able to put a Quality Team together to help address the lower scoring areas of our survey. It has helped us improve our employee engagement which has helped in reduced turn over. "Easy step by step survey for your company"
Arianne made it easy to work with. She helped me through the process an worked with me when we needed more paper surveys and needed to get our participation up. I feel that the results could be more precise. Engagement. We found out by department, role and length of service who is the most engaged. "We have been very pleased with the support and cultural fit that Workplace Dynamics provides." The ease of completion for the surveys, the reports, the support from the team. We have been working with Workplace Dynamics for 7 years now. Nothing really. Perhaps the cost, but I believe it is comparable to other services. Definitely a great company and tool for a small to medium sized business. We have increased retention rates by engaging with employees through this process. "Excellent product, easy to roll out"
We have listened to our employees for 3 years and have made changes internally on a lot of what they have to tell us. "A great partnership to help with employee engagement"
Workplace Dynamics provides a great reporting tool for leaders to dissect responses to turn results into actionable plans to continue to improve employee satisfaction. We have improved employee engagement and satisfaction year over year due to the survey and reports. "Definitely returning - great information gathered with support from beginning to beyond." I would like to see a price listing of the products - especially now that I'm familiar with the product. The Engagement measurement is our new benchmark. Therefore, we are focusing on the components that generate the Engagement score. The support from my consultant on interpreting results and creating action plans. Energage has met my needs - they do a great job with platform and customer support! Cultural transition with recent acquisition. The post-survey analysis was very helpful, and truly provided value for understanding corporate strengths and weaknesses. I don't recall anything that would warrant a "dislike." Growing at such a fast rate, we really wanted to ensure that employees were still feeling engaged and satisfied with the culture that was developing so quickly. I like the different reports and the summaries that are available. I dislike that sometimes the recommended areas of focus aren't the actual larger areas of concern across the organization after digging into the survey results (i.e. some areas with the biggest increase are still outstanding overall). This has happened a couple of times. We use this tool to measure our culture and improve our culture. We've created action plans and made positive improvements in our culture. I feel that Workplace Dynamics conducts a professional survey and their customer service is quite good. They are always accessible. I believe that the survey could be designed a bit better as people in a hurry do not always read the questions carefully. I would recommend this to other companies. We are ensuring that our employees feel they are working for a top workplace that has integrity. The responsiveness. Any question that I had, was answered in under 1 hour. I cannot think of anything that I disliked. Employee Satisfaction. By utilizing a third party, the feedback is open and honest. Survey easy to administer and provided the data in segments that was meaningful and easy to come to recommended actions. Bar charts and percentages are not intuitive and are hard to communicate. In addition, the cost is high for a small company. Make sure you have at least 3 weeks to focus on the process. Can't really think of anything. I have been working with them for three years and my experience has been great. We run our annual survey with them and they assist us in reviewing the results and looking at year over year patterns and how those may be impacted. Benefits realized are in maintaining and continuing to improve our culture. The program doesn't seem to be lacking in many areas. "Great service - awesome data"
Great information from survey. Helpful follow-up from staff. I also liked that even though Energage is selling services, I never felt like I was pushed toward something I didn't want or need. Nothing. It was a very positive experience. We have gained valuable insights into employee satisfaction, which will help us engage them more, reducing recruiting and turnover. I like the support they offer any time I need help. I can call or email anytime for support or questions. I dislike that some things are not completely customizable. If that were the case, I would want to work with them more. We are attempting to improve employee engagement especially in areas where our engagement scores were lower. We are getting some additional engagement. "provided good insight into employee's engagement drivers"
department engagement...benefits hard to qualify at the moment. Not being able to easily export powerpoint presentations. "A Great Resource for your business!" I like that management can see/hear what staff and colleagues really think without throwing anyone under the bus. Nothing. It's difficult sometimes to hear the hard things but it's necessary. Hearing what employees think is a good place to start to create new processes and participating each year is a good way to oversee how we're doing. Ease of design and administration, organizational health model aligned well with our commitment to employee engagement. Simple and accessible feedback tool for leaders and great support from the Workplace Dynamics team. Timely and usable information to support our efforts to get underneath issues related to employee retention. "Great customer service, easy to use!" The communication with my representative at Workplace Dynamics was great. They were always available and helpful. There is nothing that stands out that I did not like about the process. We are always trying to improve employee engagement as a company and hope to use the survey data to help us with these initiatives. * We monitor all Energage reviews to prevent fraudulent reviews and keep review quality high. We do not post reviews by company employees or direct competitors. Validated reviews require the user to submit a screenshot of the product containing their user ID, in order to verify a user is an actual user of the product. Hi there! Are you looking to implement a solution like Energage?